I hate to say it but the three intervening months between returning from Slovenia and going to Iceland and Canada seemed an eternity. I went off feeling slightly under the weather and hoping that the cold weather would either help or at least not make the condition worse. Last year at the same time, I had found Toronto extremely cold and, whilst reasonably well-prepared, made sure that I was far better clothed this time. I again travelled with Icelandair and find them very good and comfortable. A three hour flight to Reykjavik at a decent hour is about a third of the way and I again found it convenient to stop over for a day to break the journey. I must again thank Reykjavik Excursions for providing me with complimentary bus tickets to and from the 4th Floor Hotel in Reykjavik. 4th Floor? Top floor – there are very few high-rise buildings in Reykjavik. Inevitably, I missed the reception on the ground floor – well, why should I expect to find it there? – and became more bemused when I found rooms on the second floor also. Anyway, in all seriousness, it is a decent place. Okay, not all rooms have private facilities and I elected for one such and, whilst wishing later that I hadn’t, the room was absolutely fine, the included breakfast more than adequate and in an excellent location. Reykjavik was windy that evening and lots of us were thrown about to a degree. I returned to Nings restaurant where I had had a reasonable meal last year. This time, I chose Arctic Char and rice and an excellent choice it was also. The following morning, I found myself somewhat rushed. Lord knows why but maybe because the shared bathroom was permanently busy... Okay, older and wiser. I left for the airport via the Blue Lagoon at 10.30am and perhaps wished that I had gone an hour earlier as the Blue Lagoon is always busy and popular and it takes time to drop off luggage and queue for your entrance tickets. A word of advice here, if I may. After Reykjavik Excursions kindness, all I had to do was buy my entrance ticket to the Blue Lagoon which I decided to do online beforehand for the convenience. Just as well because, had I not, I wouldn’t have got in as they were fully booked otherwise. So, maybe it’s worth buying in advance to ensure entrance. 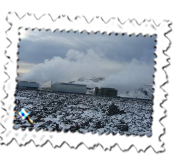 Once in, the waters and steam room were wonderful even if I had such a short time there and I partook of the white mud mask which can be found in certain parts. I do curse myself, though. Why do I never learn? Mercifully, I don’t suffer much at all from jet-lag and going to bed at 11 pm is emblazoned upon my mind no matter where I am. So, having left Reykjavik at 5pm, arrived into Edmonton at 4.45 pm, got to the hotel far quicker than I had expected by public transport – well, I had suspected a scam when someone offered me a ticket and change which the ticket machine wouldn’t have given: I saw enough of the ticket to suspect it was valid but did wonder but everything was fine – why didn’t I go to bed earlier? Well, the reason was that I was given an upgraded room at the Comfort Inn and Suites Downtown – and not because of my job: the reservation was made through booking.com – and late on I discovered that the bath doubled up as a jacuzzi. Fantastic: but not for anyone next door although I was relieved to see that on one side there was just a store room. It was a novel experience even if I was slightly too big to fit into it. I was up early the next morning and, of course, it all caught up with me. I had a Greyhound bus to Banff via Calgary at 8 am and was impressed by the amount of legroom. I’d booked the tickets months ago to cash in on the very cheap non-changeable tickets and it was excellent value. 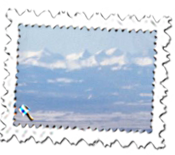 The journey itself to Calgary wasn’t especially exciting but my first view of the Rockies albeit from a distance was memorable as was the subsequent journey to Banff which was delightful. In at 3 pm, I quickly found my accommodation at the Holiday Lodge B&B run by the very helpful Karin McDermott and presided over by her pet German Shepherd which initially looked threatening but soon turned out to be a big softie. 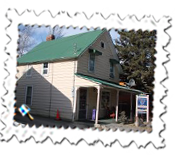 The B&B is very conveniently situated in Marten Street – one of the many roads with wildlife names: street names include Wolf, Bear, Elk, Lynx amongst others – and was a very happy place to stay. My first full day was spent exploring the delightful town before trying to make myself feel better in the Banff Upper Hot Springs around three miles from the town. Inevitably, I walked there and back but the busy pool, heated at 39 degrees centigrade, was wonderful. Situated in the open air high above the town, there are wonderful views of the mountains and, for just over C$8 including use of a locker, it is terrific value. It is recommended only to stay in for ten minutes at a time and, for once, I dutifully obeyed sitting on the side for a short time before having another dip. And, yes, it helped. The most famous hotel in Banff is undoubtedly the impressive castle, the Banff Springs Hotel, and I enjoyed a walk back via this impressive structure. The next day I had booked to go to Lake Louise. Okay, I would have preferred to have seen the lake in all its summer glory but never mind as it was still glorious despite being iced over. 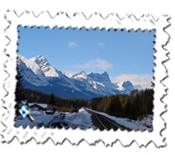 The Greyhound bus to Lake Louise Village – around three miles from the lake – took around forty-five minutes but was quite late in reaching Banff. The time had changed also and Greyhound hadn’t informed me of the new schedule but at least it remained at the same time on the way back. 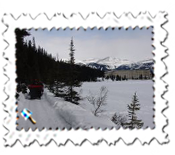 The main sight is the formidable Lake Louise hotel which dominates proceedings. I walked up and down both sides of the lake without actually walking all the way round... Deterred by the warnings of avalanches, I’m afraid to say. The other side had a sign about what to do if confronted by a grizzly bear. Okay, chances were remote but I was happy to oblige with any requests and suggestions... As the sun came out, it made for a fantastic walk and, throughout the ten days I was in Canada, the weather wasn’t quite as cold as I had experienced last year but, nonetheless, neither was it especially warm. I admit that I’m like the proverbial magnet when it comes to souvenirs – and, strangely for once, bought some magnets – but the main curiosity which caught my eye and which I did bring back very carefully was a black bear on its back, mouth wide open and, on first appearances, its use isn’t particularly noticeable but it holds a bottle of wine in its mouth and paws. I’m pleased to say that he’s been well-received at home having made it there safely and had questions answered about at airport security. 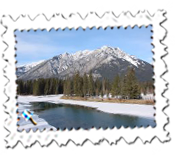 I was off to Calgary the day after my three night and most enjoyable stay in Banff. 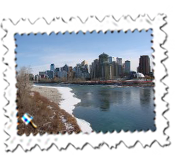 Downtown Calgary was a pleasant place and, although it seemed just a mite colder, the only problem I had was that my camera button fell off somewhere there rendering it, at least at this stage, redundant. Fortunately, I had packed other cameras. In the afternoon, I moved over to the airport and stayed in the very comfortable Country Inn and Suites and again had an upgraded room which added even more to this very pleasant hotel. I ate out at Chili’s close by and had some excellent Mexican food for a change but one aspect I found odd was that none of the restaurants in the area advertised their menus outside. Not good for someone as frugal as me, I can tell you! Thank God for the internet in the privacy of my room... And, yes, you’ve got it: Chili’s was a middle-of-the-road, good value place. 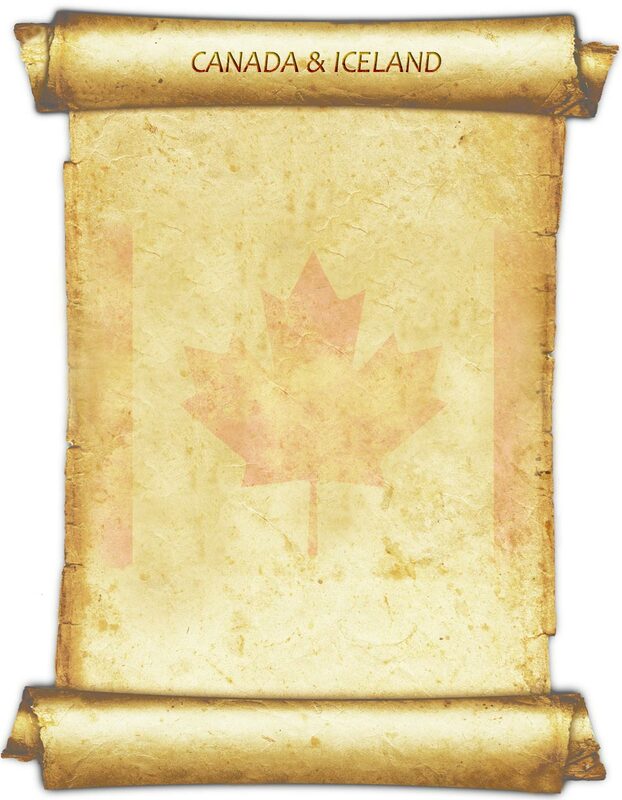 To be fair, I did find Canada in general pretty reasonable value and ate well every night. 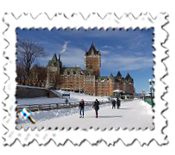 Off the next morning at 10am, the shuttle driver saw me complete with tiger hat and all sorts of extraneous winter clothes and ventured that I was “well stacked up” – in this mild weather, which made me feel even worse – before my Air Canada flight to Montreal. It’s easy to forget the distance and that the flight was scheduled to take four and a quarter hours but we did it in about three and a half. I bought a snack which I wasn’t charged for so reminded the stewardess who didn’t come back. As she’d thanked me for being honest, I wondered if she was being kind to me but, when she came around again, I told her again and she did finally take the money. 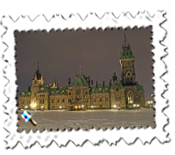 I must say that again the company was very nice and I found Canadians a very pleasant and hospitable people. As I was just spending a few hours in Montreal en route to Quebec, I had booked into the Hotel Quartier Latin close to the bus station and it proved to be very adequate for such a budget price (C$65 for a single room including a simple breakfast and taxes). I got the impression that I was going to have to attempt a little French at check-in and was pleased with my efforts. I got a room too! A very considerable nuisance, though, was the late arrival of a youngish couple who were very noisy and then came back at 1 am, made more noise and I am sure started fighting. Fair play to the hotel who I am sure kicked them out. Both rooms I had before and after Quebec in the Quartier Latin were very good and it was a good choice. Canada, I noticed, has many signs saying no idling of engines and loitering. Having booked my VIA Rail journey from Montreal to Quebec months before at the cheapest fare, I ended up looking like some vagrant in Montreal's Railway Station. The cheaper tickets only come with a 18kg baggage allowance and, as this was quite rigidly enforced, I had the option of either paying an extra C$20 or repacking. My friends and family will not be surprised that I opted for the latter which involved finding a bag in one of the dustbins to re-pack. It seems daft that I was allowed on with one lighter suitcase yet with an additional bag but never mind. 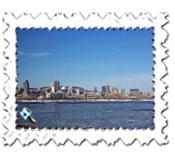 Quebec had been one of the places I have wanted to visit since reading about its history at prep school almost forty years ago. It turned out to be every bit as good as I had hoped for. 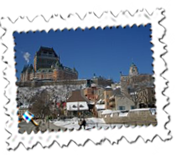 Standing above the waters, the Quebec skyline is dominated by the Chateau Frontenac, now a Fairmont hotel. 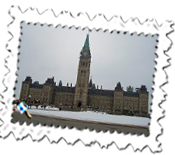 This vast edifice can be seen from a long distance and, set in the pretty old city, is one of Canada's foremost sights. It wasn't especially warm but the snow added to Quebec's undoubted charm. I had put up in a hostel and, all things considered, probably could have found better but it was only for one night. Check-in very much started at 3pm only and it seemed as if my reservation couldn't be found. Anyhow, once shown to a dormitory, I pointed out that I had a private room and all was well. The room was a decent size but there was no way of getting into the cafe the following morning for the promised and included breakfast so I had to go to the local supermarket. Quebec by night was charming and, although my stay was brief, it was wonderful and thoroughly worthwhile. The journey back to Montreal was fine and I spent a further night in the Hotel Quartier Latin. This area bustles with life and restaurants and was very convenient for me as I had to take a further Greyhound bus the next morning to Ottawa. In between that, a chap in an imitation leopard outfit saw the funny side of my tiger hat. I've long given up worrying what I might look like but I suspect that we both looked a bit daft. The two and a half hour ride to Ottawa was fine and arrival was on time. 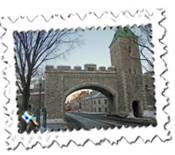 I had wanted to visit Ottawa for a couple of reasons, one being the chance to stay in the hostel which had previously been the city's jail. It was around 2 miles from the bus station but, having found it, there again seemed to be no reservation for me. 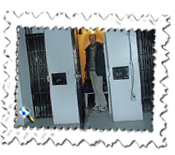 Again, rooms - sorry, cells - were available so it was fine even if I suspect the receptionist tried to steer me towards a higher floor to avoid a group before adding that it was Death Row... Well, whatever, it was damned small, I must say. Presumably the occupants didn't have long to spend there. There is now just enough space for a bed but certainly no room to walk around. It was very basic but I'd not have missed it for anything and it was fine for the night. I have stayed in some bizarre hostels including a fishing museum on the Lofoten Islands and Colditz but this was certainly one of the most extraordinary. Close by are the Parliament buildings and most impressive they are too. 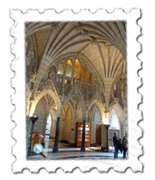 I hadn't realised that visitors can go inside and see some of the impressive places - there's no charge either - and I spent a fascinating and indeed wonderful hour and a half admiring the inside and going to the top of the Peace Tower with its wonderful views over the country's capital. It was a great and unexpected thrill especially after the comparatively recent attack outside its buildings. Ottawa was remarkably mild. Last year in Toronto, I had never felt such cold yet this year wondered if it were the same country. I had a further five hour Greyhound ride to Toronto arriving at, well, I shan’t say because I don’t know! For reasons I still can’t work out, my Greyhound confirmation said that the bus left Ottawa at 9.30 am and should reach Toronto at 2.25 pm. Local times, one hopes and supposes. It did and, after an hour and a half enjoying some further Mexican food, I left just before 4 pm, bought my transport coupon and printed off a transfer ticket for the bus which gave the time of issue as 5 pm... On the bus to the airport, a chap said he was worried about making his flight so I asked him the time and found out that it was indeed one hour later than I had expected. Well, it suited me fine but I’m still puzzled where that hour went unless, of course, my watch stopped. The flights back via Reykjavik were fine but I can’t say that I wasn’t quite tired when I finally reached Heathrow. Maybe I was lucky to be back at work the next day after reports that planes were diverted from Reykjavik due to the weather. I had noticed that there was a fair deal of snow on the runway, our plane had had its wings cleaned for ice so maybe we were one of the last aircraft to leave before the weather set in. Whatever, it was a wonderful trip.